Firefighters were alerted to a potential fire in an end terrace house in the St Brigid’s Hill area shortly after 4pm on Thursday. However, they found a small fire in the living room had burnt itself out before they arrived. Firefighters have extended their sympathies to the man’s family and friends and are urging others to be aware of the increased risks of accidental fire in winter months. 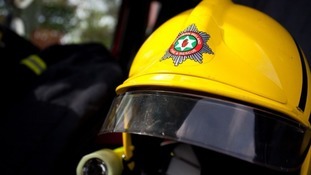 “We are appealing for people to be vigilant about fire safety at this time of year and to look out for older family and friends – in particular those living alone in our community,” the spokesperson added.